The 15th anniversary tour of this swingin' Christmas concert extravaganza! 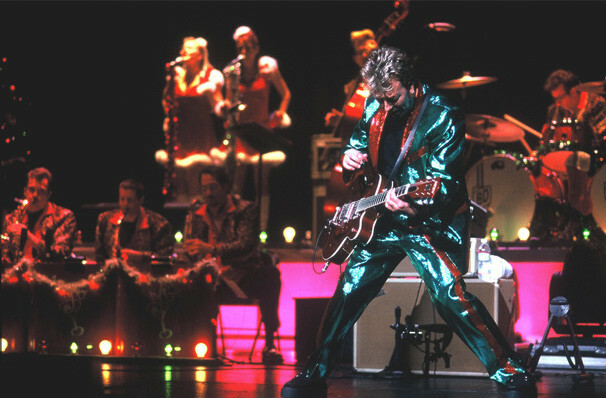 Why See Brian Setzer Orchestra: Christmas Rocks? NOW IN ITS fifteenth YEAR OF TOURING! 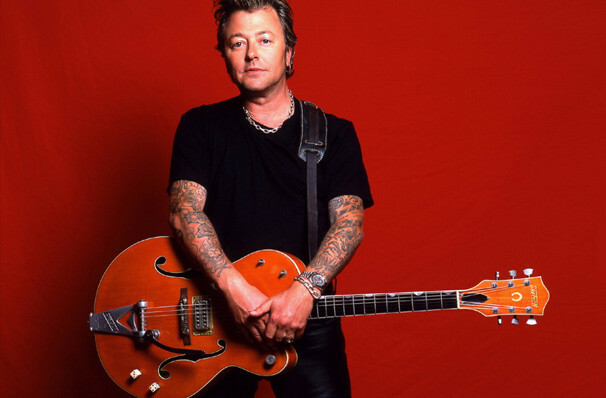 Ex-Stray Cats frontman Brian Setzer is one of those geniuses who keeps the Earth properly spinning on its axis through his wildly innovative guitar-playing and off-beat humor. 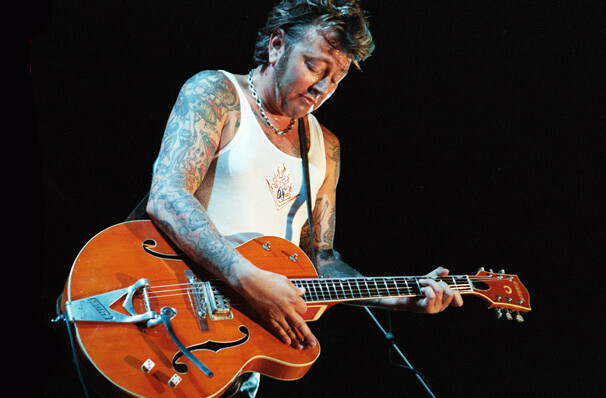 Launched in the 1990s, the Brian Setzer Orchestra is an 18-piece swing and jump blues band made up of Setzer himself (natch) as well as a whole cacophony of talented musical accomplices. The BSO's Christmas Rocks! tour is an annual extravaganza of the band's top hits as well as classic Christmas songs, plus inspired guitar work by Setzer himself. Expect a wild evening from one of music's great guitarists and vocalists. Now in its 15th anniversary year, the 2018 tour promises to be a huge celebration of the band's success! A must-see for fans of big bands, jazz and rockabilly, this Christmas show harks back to the heady days of rock and roll! Sound good to you? 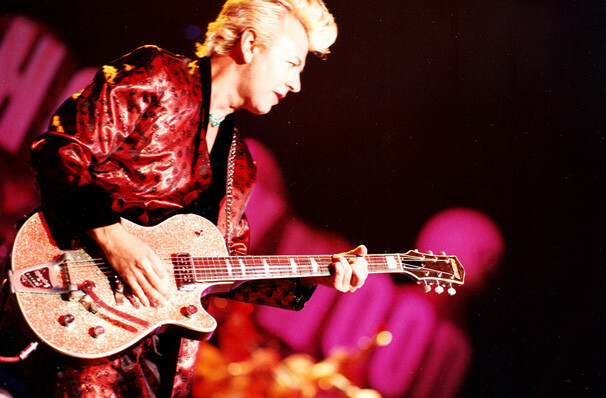 Share this page on social media and let your friends know about Brian Setzer Orchestra: Christmas Rocks at Celebrity Theatre. 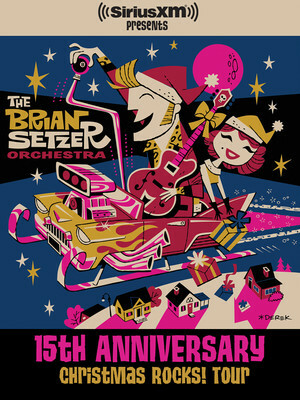 Please note: The term Celebrity Theatre and/or Brian Setzer Orchestra: Christmas Rocks as well as all associated graphics, logos, and/or other trademarks, tradenames or copyrights are the property of the Celebrity Theatre and/or Brian Setzer Orchestra: Christmas Rocks and are used herein for factual descriptive purposes only. We are in no way associated with or authorized by the Celebrity Theatre and/or Brian Setzer Orchestra: Christmas Rocks and neither that entity nor any of its affiliates have licensed or endorsed us to sell tickets, goods and or services in conjunction with their events.